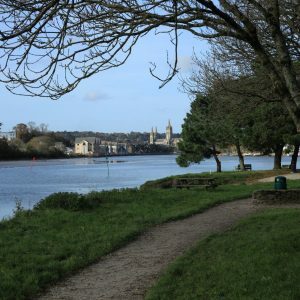 The objective of the Truro Loops project is to reconnect the city with its river and waterfront areas and the provision of a network of safer and well laid out walking and cycling routes in the city and its southern landscapes. 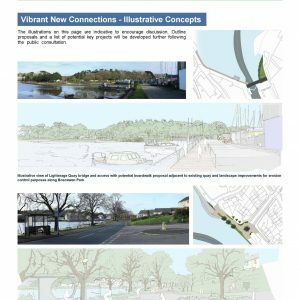 CEC acted as Lead Consultants for this project; managing a team consisting of Hydrock, PBWC, Hewson Engineering and WWA Surveyors, writing the Feasibility Study, as well as delivering landscape architectural, ecological and stakeholder / public consultation services for the project. 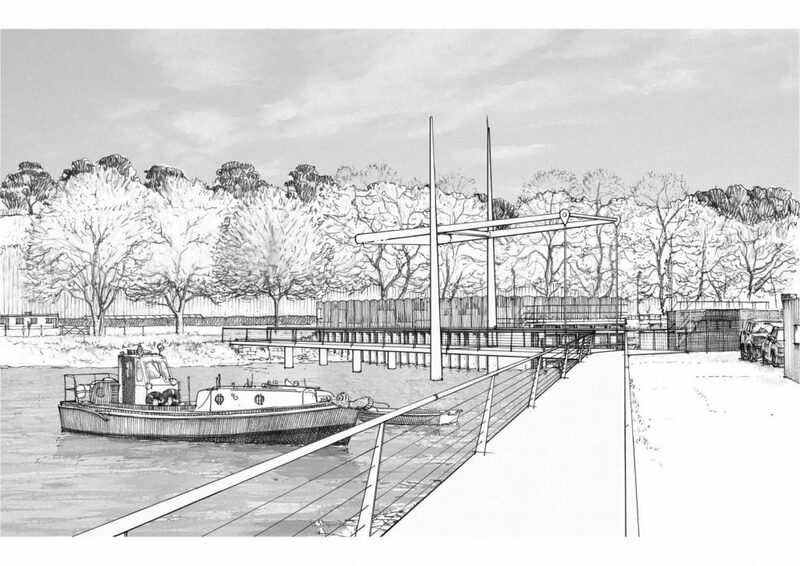 Proposals include six loops, two pedestrian bridges, potential visitor facilities and improvements to the urban fabric along the loops and links within the project area, as well as potential masterplanning for the southern Newham / Lighterage Quay areas and improvements to landscape and access along Malpas and Newham Roads. This would be supported by an overarching interpretation, education and signage strategy developing a distinct identity for the Truro Loops project. 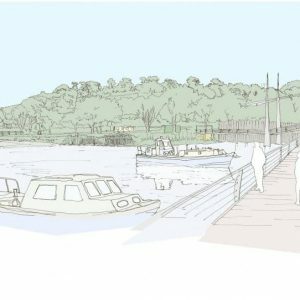 Significant health and wellbeing, educational, heritage, social, environmental and economic benefits could result from implementation of the project. The study was enabled by European RDF Leader LAG funding. 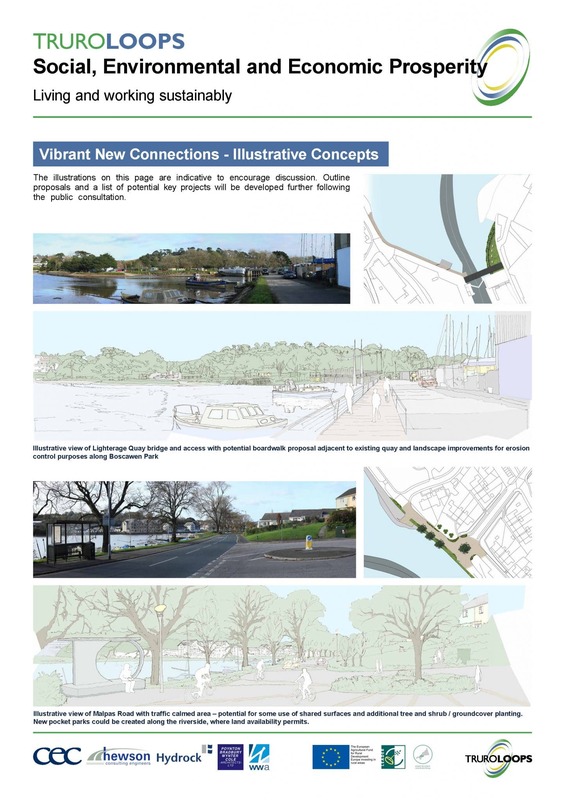 Delivery of the Feasibility Study relied on thorough desk study and field work, consultation with key stakeholders including site meetings as appropriate, public consultation to ensure local concerns were addressed and an evaluation of options for key components of the scheme (bridges, road improvements along Malpas Road, and visitor facilities). The composition of the team ensured that all technical aspects were adequately covered and solutions were examined for feasibility – the strength of our team was a key reason for the tender being awarded to us. CEC worked with all team members to query results and proposals, ultimately resulting in a coordinated range of sub-projects to facilitate the overall project outcome. Our client’s priority was to deliver a robust study capable of enabling this project to go forward if found to be feasible, with an emphasis on good working relationships and communication. CEC managed the project to an initially agreed programme and providing progress reports at intervals, as well as holding regular update phone calls with a client representative. Key stakeholders and the public were consulted, with consultation material including display boards produced by CEC in-house, and a survey monkey questionnaire set up, as well as organising, holding and documenting stakeholder meetings. 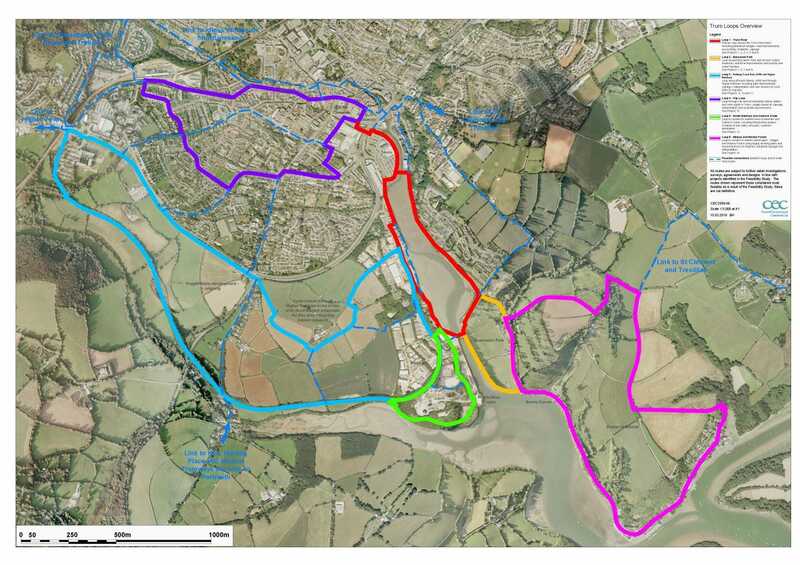 The study identifies 14no sub-projects throughout the overall Truro Loops project area, and the outline cost estimate indicates that it will cost £20M to deliver these 14 sub-projects. These were defined in a way that they can be delivered as separate projects if and when funding can be found. An overall 8 year programme has been envisaged for delivery. 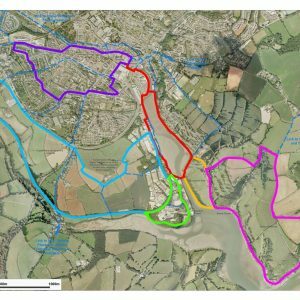 The Feasibility Study consists of a main report with a number of additional volumes covering specific subjects such as concept plans, an outline cost estimate, separate reports for example for ecology, landscape condition and flood risk, data, consultation results and information on third party projects. The appendices to the main report includes project briefs to form the basis for development of detailed project scope and assist in funding applications for sub-projects. It also includes sections on governance and funding, viability and benefits. Click to view CEC’s Truro Loops Feasibility Study (PDF document). 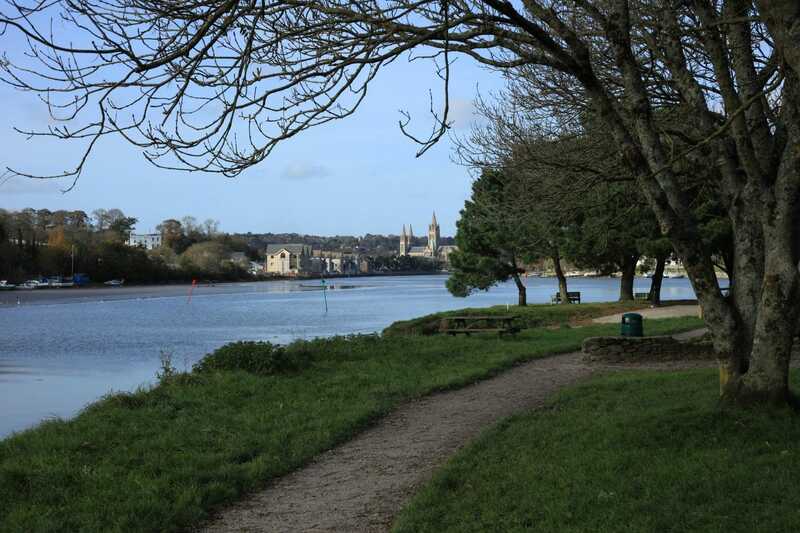 CEC was appointed as consultant to the Truro River Working Group CIC in an open tender process, to carry out a feasibility study into the environmentally sensitive projects proposed by the TRWG in the centre of Truro. They completed this project on time, within budget and to a very high standard. Furthermore, with their ‘green credentials’, they were instrumental in guiding us in more environmentally sensitive solutions and also developed some incremental projects that came out of study preparation process. Lastly, they contributed to the thinking behind the post study strategy and its implementation process. On behalf of the TRWG, I would have no hesitation in recommending CEC to potential clients. They have exceeded expectations with the study result and been key to our post study strategy.